The Mets flew down to Miami after taking two of three games from division rivals, the Washington Nationals. Matz took the bump against fellow lefty Caleb Smith of the Marlins. After getting the first out in the second inning, Conforto and Ramos would hit back to back singles. McNeil would follow with laser beam of an R.B.I. double down the right field line, getting a run back for the Mets and cutting the lead in half. J.D. Davis lead the fourth off with a double to right center field, after advancing to third base on a ground ball, Davis would score on a wild pitch by Caleb Smith to even the game at two. The Mets put runners on the corners with back to back hits from Michael Conforto and Wilson Ramos with two outs. However, Jeff McNeil would follow with an inning ending strikeout. Juan Lagares, mostly known for his flashy leather in centerfield, lead off the 7th inning with an opposite field homerun, tying the game at 3. The Mets had runners on first and second with one out, and Amed Rosario went inside out to right field with an R.B.I. single, putting the Mets up for the first time of the night. 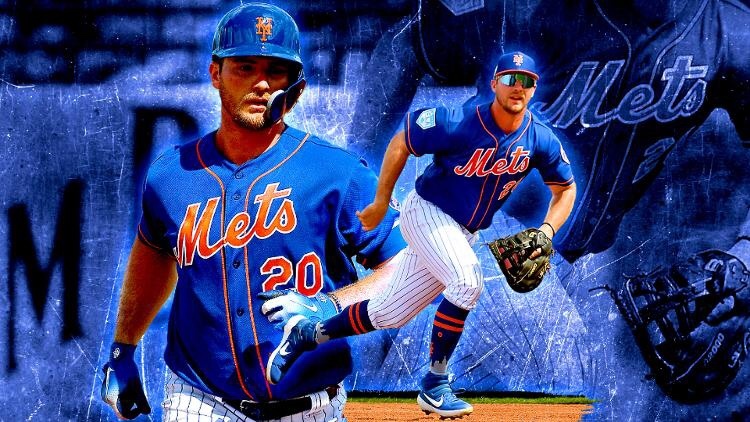 Pete Alonso followed by then crushing his first M.L. home run (440 feet) to dead center field. A three run shot that would put the Mets up by four, in a huge offensive eighth inning. Diaz came on with a four run lead and immediately loaded the bases with no outs to put himself in quite the pickle. He came back to strike out Marlins Catcher Jorge Alfaro, while Peter O’Brien followed with a strikeout of his own. Finally Diaz would strikeout JT Riddle to win the game 7-3 and take the series opener from the Miami Marlins. Matz pitched 5.1 innings, giving up six hits, three runs (one earned), striking out three and walking none. He would finish with the No Decision while Familia gets the W in the win column. The Mets will send Jason Vargas to the mound to take on Jose Ureña and the Marlins at 7:10 EST on Tuesday evening.